We know that everyone is different and that they want their wisdom teeth removed differently so we offer the choice of treatment in the dental chair or under general anaesthetic at the day surgery next door so you can wake up and be done with it. When you leave our doors you’re not on your own.We keep in contact to make sure you’re as comfortable as possible and are available to you when you need us. Wisdom teeth are the third and final set of molars to come through, they can erupt from 16 years old to your early twenties. How many wisdom teeth do I have? Why do people get wisdom teeth taken out? Often the jaw is not of sufficient size to allow wisdom teeth to erupt fully and in alignment useful for chewing and crushing food. swelling, jaw stiffness and general illness may follow. Will I be able to go back to work/school the next day? This will depend on several factors. 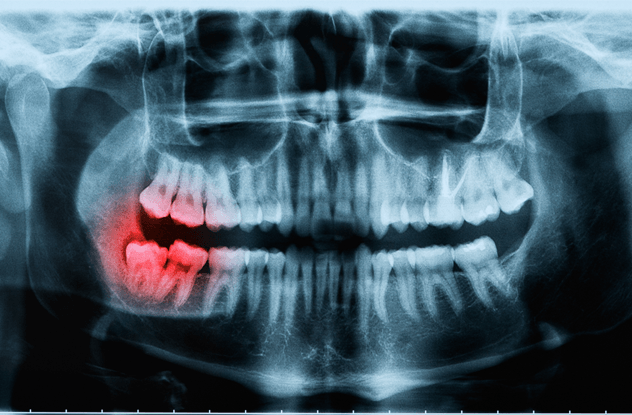 Some wisdom teeth can be removed more easily than others and so patients will recover more quickly. Your surgeon will discuss your individual case and give you a clear idea of how much time off work or school would be anticipated. What can I expect following the extraction? you should take following the extraction and management of post-procedure pain. How are wisdom teeth removed (Do I need to be asleep)? will advise whether the extraction is to be performed using a local anaesthetic, or under a general anaesthetic (being asleep). tooth is underneath the gums and embedded in the jawbone, an incision in the gum and removal of bone lying over the tooth is required. All dentists are trained in removal of teeth, however sometimes you may need to be referred to someone who has had specialist training like us who can remove your wisdom teeth for you.